Thank You for your kind words. Always appreciated. Hi SleepyDude, Thank you for all of your help . I was able to use the link for the uninstall of Malwarebytes and the reinstall, and everything is working Great! . It looked to me like two things went wrong with the conputer after that email was opened. I could not get to the internet and I could not install any programs to try to fix this problem. Is there a known name for the infection that my computer had? Have you seen this before? My Wife and I thank you for your hard work and effort in this matter. We could not have fixed this computer without your help. It is very nice to know that there are people like yourself who are willing to donate their time to help out people like myself. I have learned a lot from you regarding how my computer works! Keep up the GREAT work and thank you VERY much!. My computer is now fixed . Sometime is difficult to identify the exact infection. Eset confirmed several Adware and PUP (Potentially Uwanted Application) and one of them uses some protection techniques that make it hard to remove. Download DelFix and save it to your Desktop, execute the tool. 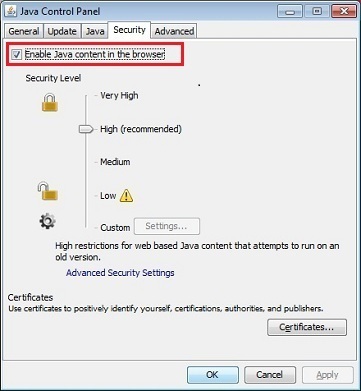 (If running on Windows Vista or above accept all the security prompts). When the tool is finished, a log will open in notepad. Please copy and paste the log in your next reply. Delete any .exe, .log, .txt, file created on the Desktop during the cleaning process. To keep Windows and Internet Explorer updated make sure you have Windows Update enabled on the Control Panel applet, follow the instructions for Windows XP on this MS article How to configure and use Automatic Updates in Windows or use the FixIt tool provided. Another option is to visit every month the Microsoft Windows Update site. Sometimes Antivirus can miss some malware, when that happens its good to have Malwarebytes free installed, Update and run weekly to keep your system clean. Malwarebytes is also good to revert some system changes made by the malware. Note: If you have a Netbook type computer running Windows XP, the machine most likely don't have resources needed to run a 3rd party firewall skip that and enable the built-in firewall. Adobe Reader, can be updated if you Open Adobe Reader from the Start Menu, when the program full load click on the Help menu next click the Check for updates now option. Follow the prompts to install any new update. You can add a extra layer of protection to your web browser by installing two add-ons AdBlockPlus and Web Of Trust (WOT). Eventually you may not know but there is a new threat that's currently doing the rounds called Cryptolocker. This is a particularly nasty piece of work as it scans your files for certain file types (*.doc, *.pdf, *.xls, *.jpg, *.odt, and many more) and encrypts them, rendering the files worthless unless you have a decryption key that is generated by the malware specifically for your computer and sent to the Cryptolocker creators. This kind of malware is called RansomWare because they hold the key and ask for a ransom (about $300 USD) to unlock your files, also there is no warranty that you will actually recover your files! There is no way to guarantee that you are 100% secure against the Cryptolocker threat because the malware is constantly evolving. 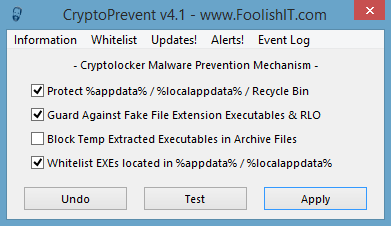 Presently there is a tiny utility that you can install to minimize the risk called CryptoPrevent, it will set some windows policy restrictions to block the execution of the malware. The tool can be downloaded here. More information about Cryptolocker can be found on the following topic @bleepingcomputer.com. Always try to download programs from the authors home pages. Today many big download sites are forcing users to install download helper tools that includes Adware, Spyware and extra crap you don't need to install. There is a new free program available called Unchecky, when installed it will try to automatically uncheck the checkboxs for you and alert when you are about to install extra crap. And last but not least, if you are not aware Microsoft ended the Support for Windows XP on April 8th, 2014! you can find more information, alternatives, etc. one the following link Windows XP - The Elephant In The Room. In terms of security this is something that should be addressed in a short term. I don't know the specs of your machine to advise you properly but if you follow the guides available on the link above it should be easy to take your own conclusions. If not you could ask for help on the Windows XP section of the forum. Hi SleepyDude, below is the DelFix log: Once again THANK YOU for your help. Everything is working so I guess that this will be my last post. Thank you for the additional information that you posted for me. Edited by jlurie, 27 April 2014 - 05:12 PM.